Kylie Jenner is getting a new whip that’s NOT a Lambo or G-Wagon — think burrito truck, but with lip gloss. 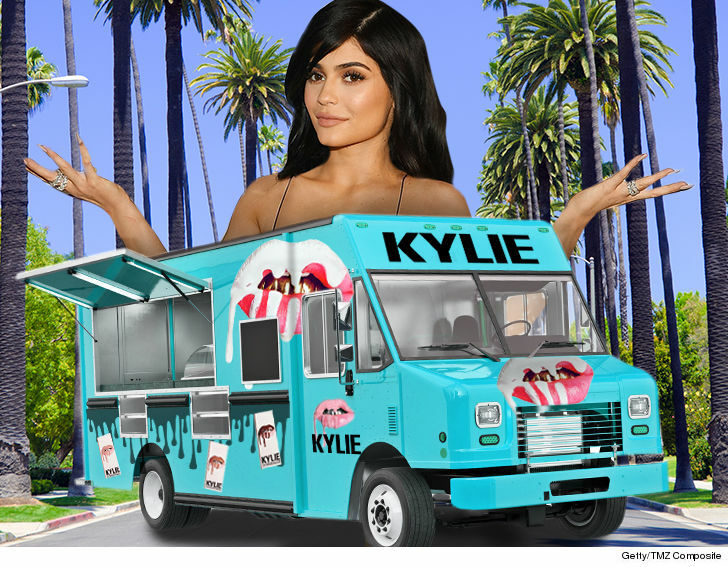 Kylie’s filed to trademark a Kylie Truck, and a Kylie Jenner Truck. The idea’s pretty clear … roll through neighborhoods serving up lip kits, merch and other Kylie-stamped gift items. We’re guessing she won’t be driving, or even in the truck much. Kylie’s uber successful makeup line sells out all the time online, and she’s been toying with pop-up stores lately, opening several inside Topshops for the holidays. Now it looks like she’s looking to bring the merch directly to her fans.